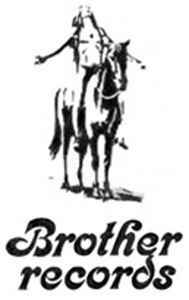 Brother Records is a record label and Brother Records, Inc. their holding company, formed in October 1966 to holds the intellectual property rights of the Beach Boys, including the "The Beach Boys" trademark. In mid-1966, Beach Boys business manager Nick Grillo formed the Brother Records corporation, bringing in Van Dyke Parks's manager and Brian Wilson's friend David Anderle to run the organization from an office on Sunset Boulevard in Los Angeles, California. Motivated in no small part by the negative reaction of Capitol Records to some of Brian's ideas for Smile, the new company gave the band more control over their products. The shareholders were the 1966 members of the Beach Boys: Wilson brothers Brian, Carl, and Dennis, along with their first cousin Mike Love, their friend Al Jardine and Bruce Johnston, who traded his share in 1971. In 1983, shortly after the death of Dennis Wilson, his estate sold his share back to the corporation to repay loans. In 1998, following Carl Wilson's death, his share of the corporation passed to and is still controlled by his estate. The label's first releases were the Beach Boys' "Heroes and Villains" single and Smiley Smile album in 1967, distributed by Capitol Records. Numerous other Beach Boys albums were first released on the joint Brother/Reprise Records label during the 1970s, including Sunflower, Holland, and 15 Big Ones. Some records were also distributed by Star-day King Records or Caribou Records. As of 2007, the most recent CD re-release series of the Beach Boys' 1970s albums is on the joint Brother/Capitol Records label.